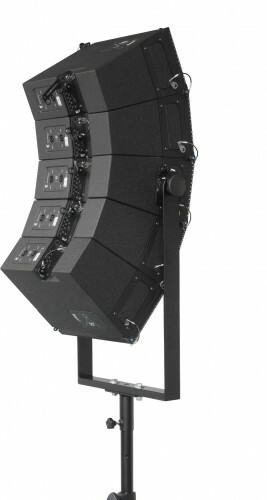 The BRK5LR7 is a swivel yoke for a mini-array of five LR7 line-array modules. 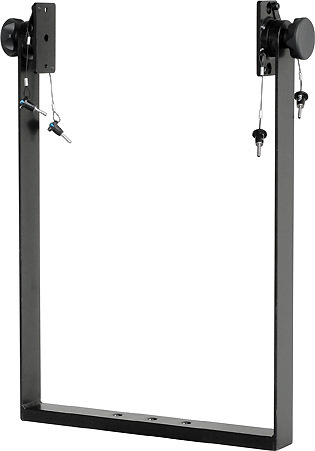 The yoke is connected to the middle cabinet with two connecting plates on the side of the cabinet, secured with two quick-release pins each. 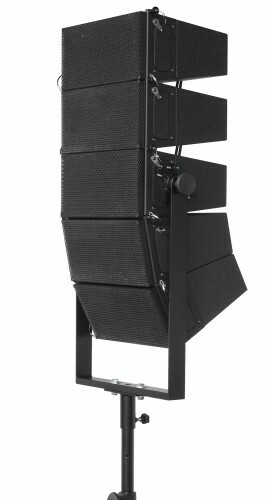 Up to five LR7 cabinets in stand-configuration and up to seven LR7 cabinets in flown configuration can be mounted, while maintaining full line-array functionality. The bracket can be fitted with an optional truss clamp, TV-spigot or STMT stand-mount adapter, with M10 (2) or M12 (1) bolt/nut connection. The BRK5LR7 is certified for a safety-rating of 10:1, for seven (7) cabinets LR7.